Those Swedish films about a tattooed girl who lives dangerously may be the most popular mysteries of the year, but there’s another mystery movie that’s equally worthy of attention and it was filmed in the Ozark Mountains of Missouri. 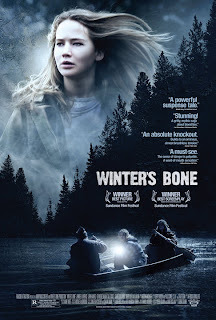 Winter’s Bone is adapted from the novel by Daniel Woodrell and about Ree Dolly, a teenager with true grit who, due to an absentee meth-addicted father and mentally checked-out mom, must provide for her two younger siblings. One day, the sheriff drops by to inform Ree that her M.I.A. father put their home up for bond and if he fails to show to court then they’ll lose everything they have, which isn’t much. Ree immediately embarks on a door-to-door quest through her community to find her father. That’s where the mystery lies; he’s gone somewhere and something may have happened to him, and everybody will offer Ree pot or cocaine, but nobody will talk about his whereabouts. It’s well-known that the 1980s was a conflicting decade of excess and trickle-down Reaganomics. Those who had it bad had it really bad while the lucky of us thrived. It was also the period where the Saturday morning cartoon and other product-based children shows exploded. 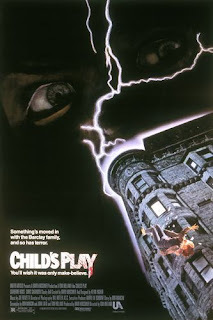 There were many that were based on a movie (from Beetlejuice to The Real Ghostbusters) or centered around a celebrity (including Camp Candy, Chuck Norris: Karate Kommandos, The Gary Coleman Show, and Mister T). Yet it seems almost every show was either based around or had a complementary toy; shows like Care Bears, Teenage Mutant Ninja Turtles, ThunderCats, He-Man and the Masters of the Universe, Transformers, G.I. Joe: A Real American Hero, Voltron: Defender of the Universe, Challenge of the Go-Bots… I could go on. Welcome to another edition of Film Faves. Just a reminder, Film Faves is a countdown of my favorites in film. It is not intended to be an objective 'best-of' list. Also, Film Faves is not the typical top 10 countdown with a list of honorable mentions at the end. Every edition of Film Faves is a list of twelve favorite items of any given film topic. This edition of Film Faves wraps up a decade with a look at the year 2000. This was a rather decent kick-off to the millennium, although you wouldn't necessarily know that if you were to look at the top grossers of the year's box office. Mission: Impossible 2, Cast Away, What Women Want, Dinosaur, How the Grinch Stole Christmas, and What Lies Beneath were all among the top 10 moneymakers of the year (although Best Picture winner Gladiator was the second-highest grossing film of the year). In 2008, Tomas Alfredson directed a film adaptation of the Swedish novel Let the Right One In by John Ajvide Lindqvist (who also wrote the script). Its subtlety and simple story about two loner adolescents befriending each other was an instant hit among critics and cinephiles. The fact that story slowly reveals the lead female character to happen to be a vampire was icing on the cake. The film played at film festivals around the world, garnering several awards, building huge buzz and ranking among dozens of top ten lists, earning titles such as “the best modern vampire movie”. 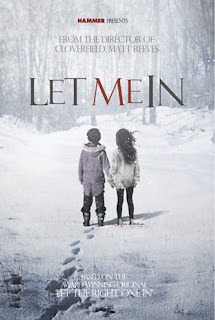 I screened Let the Right One In during last August’s premier Gibson Revue movie marathon. Of the movies on the event’s program, this was the film my audience knew the least about but was most impressed with. It is truly hard to resist the film due to its ability to balance an intimate, deliberately paced and beautifully shot drama with the hallmarks of the vampire mythology. For the past decade, the geeks have ruled. What were often sources of ridicule during the ‘80s and ‘90s became cool and invaded movie theaters, TV, and virtually every facet of pop culture. 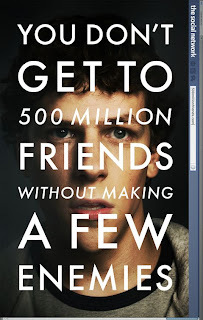 Now we have a movie about the most successful geek since Bill Gates and Paul Allen, someone who helped change how we socialize and connect with each other, as well as how businesses advertise. This intellectual and (often very witty) era-defining story is perhaps where film has been heading ever since Peter Parker first hit number one at the box office.